I think this might be my favourite time of the knitting year. The time when I get to play around with different stitches and patterns and come up with a few new items for next season. There's a whole lot of misses and not so many hits during this process. A different stitch? Too narrow? Too wide? Just plain wrong? Sometimes I wake in the middle of the night convinced I've come up with a fantastic idea only to realise in the cold light of day that it just won't work. Either that or I can't remember what that idea was. Here's a (poorly photographed) little peek at one that survived the idea / planning / testing / fiddling phase and will definitely be part of our winter 2011 range. 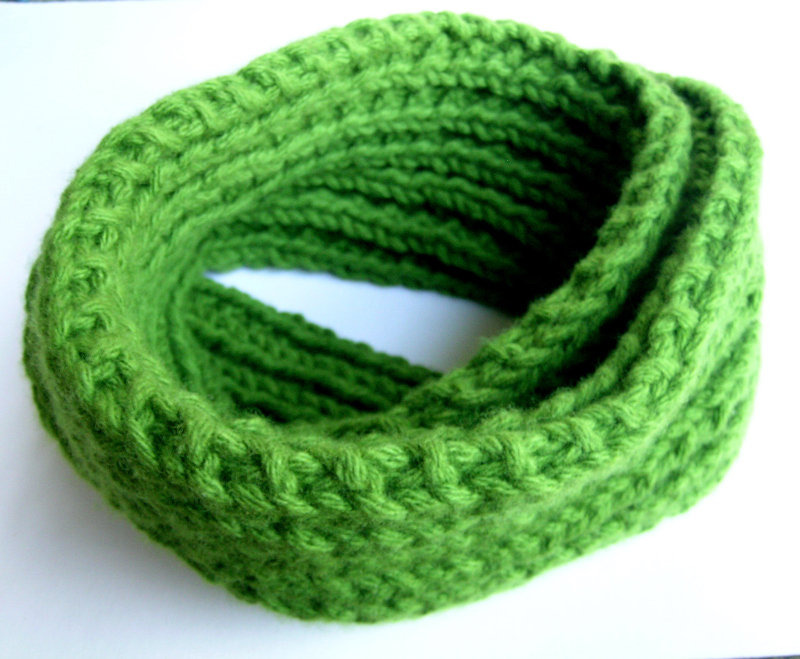 Wide, super thick and squishy, it is a little bit scarf, a dash of cowl and incredibly warm.